Living Area 3100 Sq. ft. 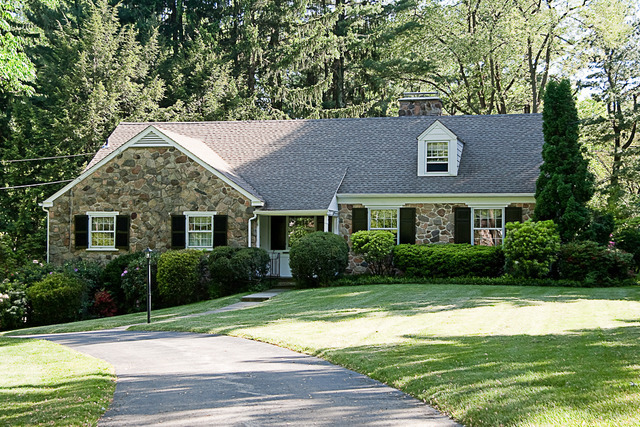 This lovely stone and masonry cape colonial is sited on a wonderfully landscaped property. A quality built home, it boasts generous and sunny rooms, beautiful hard wood floors throughout, paneled family room with fireplace, great closets and storage spaces, large terrace with awning, a lovely inground pool, and much much more. Located on a sought-after, quiet, cul-de-sac street, it is a terrific home for relaxing with a great floor plan for entertaining. This home is convenient to all major transportation routes, shopping, and the best public and private schools in Pennsylvania. It is a must-see.